Expansion tanks are protecting closed loop liquid systems from catastrophic failure. Since liquids (example: water, hot oil, thermal fluid, etc.) are generally not compressible, their thermal expansion could cause breakage in closed loop boiler systems unless a properly sized expansion tank is present. 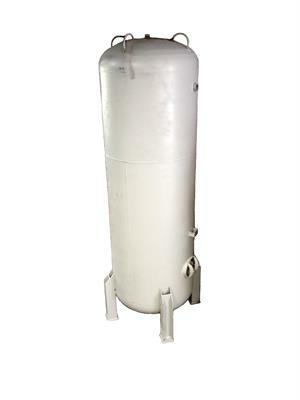 Under normal circumstances, expansion tanks are mostly filled with air or nitrogen gas, since gas is compressible. They are usually ASME rated for 150 psig. The vessel interior is unpainted because closed loop system liquids are mostly inert or treated with rust inhibitor. The exterior is shop primed. 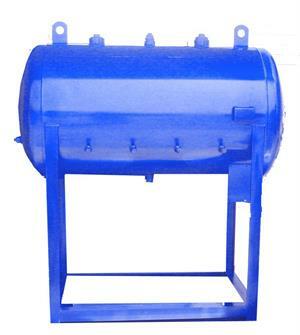 These non-bladder tanks should be installed at the highest point of the system, otherwise the gas will slowly migrate from the tank to the highest place inside the piping and the extra gas at the wrong location will cause improper operation or malfunction of the entire system. *Custom sizes and pressures are available.